Bullitt - Who Wants a Great Car Chase? Directed by Peter Yates. Produced by Philip D'Antoni. Written by Alan R. Trustman and Harry Kleiner. Release date: October 17, 1968. You know, we often say things like "without X, we wouldn't have Y," but that's usually not actually the case. I was going to start this review by saying that, without Bullitt, we probably wouldn't have movies like The Fast and the Furious. 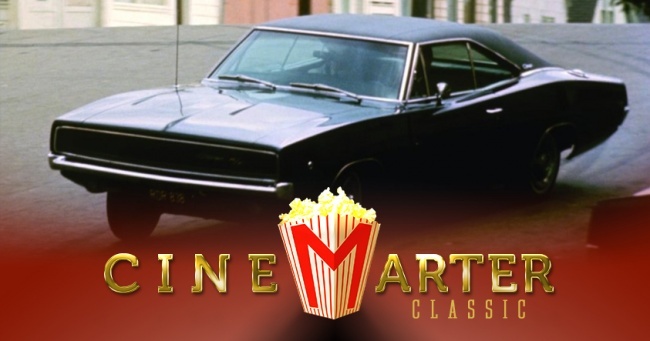 Bullitt's car chase scene was so great that it inspired future movies to copy its style, and eventually that evolved to what we see in modern action movies. Or, maybe "devolved" is the right word, since the one featured in Bullitt is so much better than what modern action movies deliver. But the point remains that, Bullitt was one of the first to produce a car chase this way. It changed our standards - upped the bracket of expectations we have for our car chases. Would movies like The Fast and the Furious exist without Bullitt? Yeah, probably. Someone else would've come along and done it if Bullitt didn't - as is almost always the case with any sort of invention or revolution. Bullitt actually did it, though, and should be duly credited as such. Bullitt isn't a "car movie," per se, but the reason we remember it is for its near 11-minute car chase midway through. 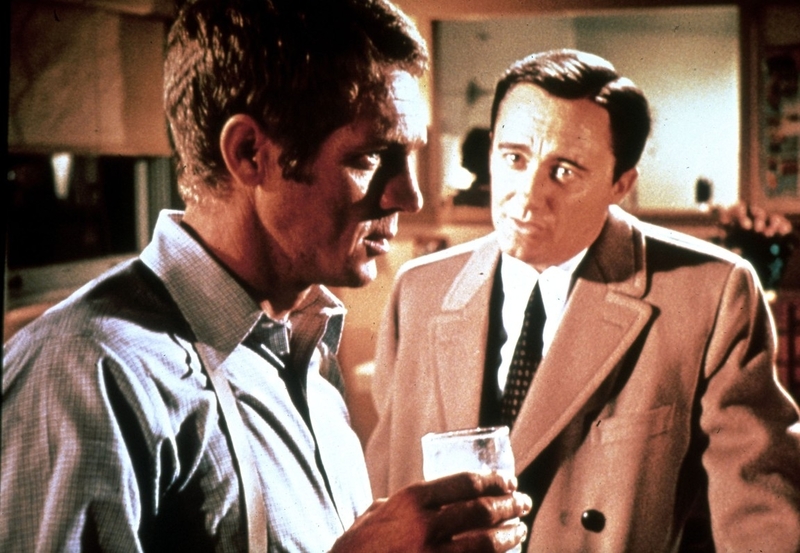 The rest of the movie, which surrounds the sequence, follows Lieutenant Frank Bullitt (Steve McQueen), who is tasked with keeping a key witness safe in protection for a weekend. That doesn't exactly go according to plan, which results in Frank having to solve a case and balance the various political motivations that surround him and try to influence the situation. The case is complicated but not confusing, which allows it to engage without losing its audience. Bullitt is a thrilling drama with a whole lot of intrigue and suspense, even if it's relatively shallow once you get down to it. It uses what we know about it lead actor and his previous role to fill in the (many) blanks left in his character, playing to the strengths and his "type" instead of actually writing anything for him. It works, even if it shouldn't, perhaps only in the way that it could for a star like a Steve McQueen. We do it these days with Tom Cruise and Jason Statham. Bullitt is a movie that deserves to be remembered for its car chase scene, certainly, but also for the rest of the film surrounding it. But we keep going back to the car chase, which showed so much detail and was edited so tightly - even if nitpickers will find continuity errors - that it changed the way Hollywood produced these scenes. But few, even to this day, topped Bullitt's. Perhaps it was such a success because McQueen did a significant chunk of the driving, permitting for shots that would be impossible with a stunt double. Much credit should also go to director Peter Yates, who did a similar - but not as spectacular - car chase in his previous film, Robbery. Editor Frank P. Keller wound up getting a Best Editing Oscar for Bullitt, which was well-deserved. 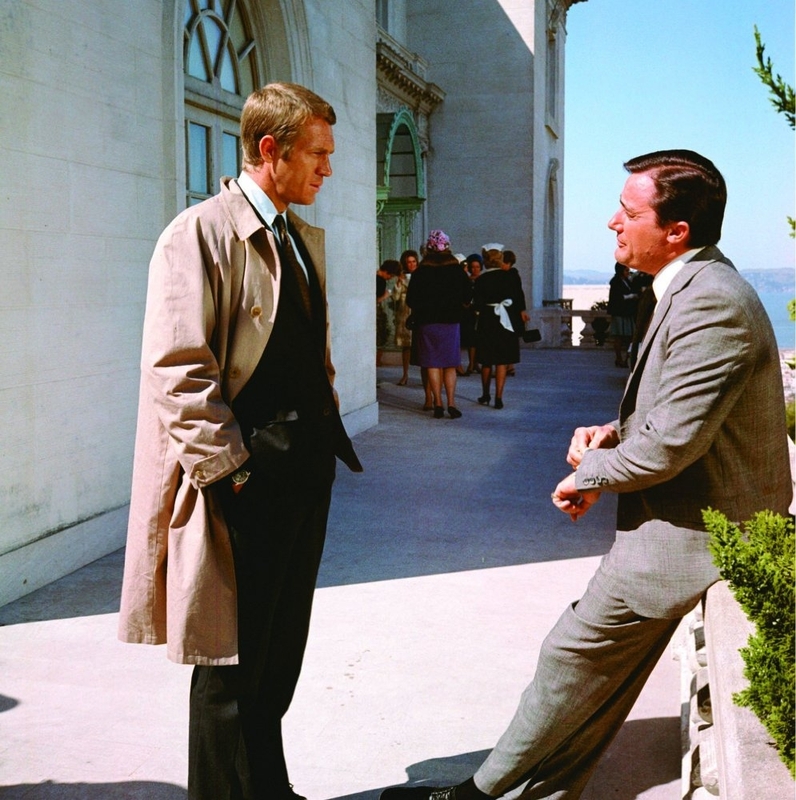 Bullitt isn't all this one scene - even when it comes to action. There are several thrilling and action-oriented beats scattered throughout, including a surprisingly effective and graphic shooting scene, which lasts for little more than 10 seconds but shocks us into paying attention. And McQueen, all throughout it, cool as a cucumber, exudes Movie Star status. 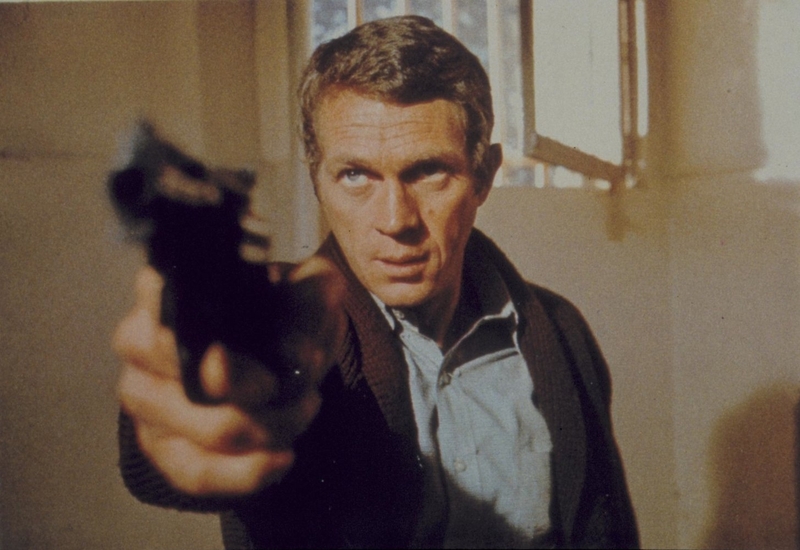 Not that Steve McQueen was the best actor out there, but he played to his strengths and gave his characters more complexity than he probably had to - largely because his own, combative personality snuck through into many of his roles. If Bullitt has a flaw, it's the inclusion of the Obligatory Woman, who is played by Jacqueline Bisset. Her character comes across as entirely unimportant, her lines are vapid, and while it was a thing, particularly back then, to give the hero a woman just to show that he had a women, it doesn't make for a better movie. Bullitt is a movie that deserves to be remembered for its car chase scene, certainly, but also for the rest of the film surrounding it. Its plot is more engaging - both with where it takes us and the political motivations that influence it - than it probably needed to be, the dialogue is interesting (even if it occasionally rambles too much), and the other action scenes are impressive in their own right. 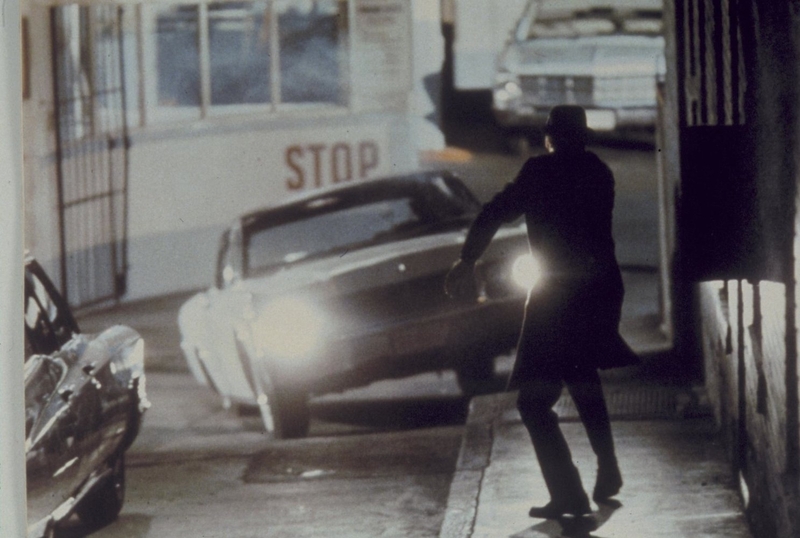 Bullitt made Hollywood step up its car chase game - and it might be something that some modern filmmakers should go watch again. Maybe we'll get some new car chases that actually let us tell what's going on. 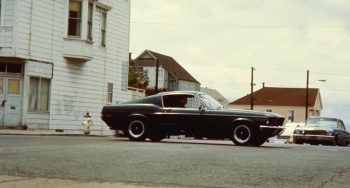 Bottom Line: Bullitt is a very good movie that surrounds an incredible car chase. Recommendation: You could seek out the car chase on its own, but you should probably watch Bullitt in its entirety.